Sociedad Deportiva Eibar is a professional football club from the small town of Eibar, which is located in Spain’s Basque Country. The club was formed on the 1st January 1940 following a merger of Deportivo Gallo and Unión Deportiva Eibarresa. 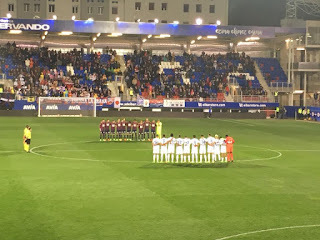 After a period of irregular friendly matches as Eibar Football Club, the club changed their name to their present title and began playing on a more regular basis in the 1943-44 season. 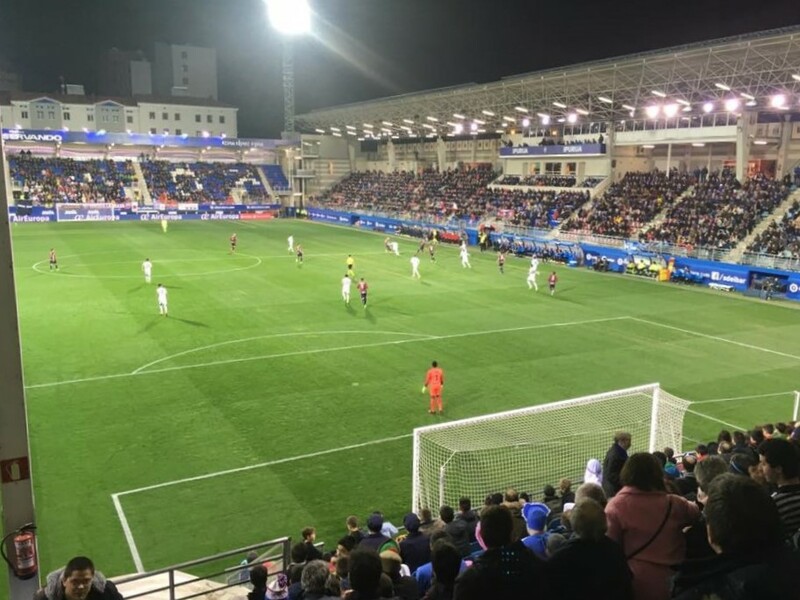 Eibar joined the regional División de Honor de Vizcaya, moving into the newly built Estadio Municipal de Ipurua in 1947 and winning the league title in 1949-50. 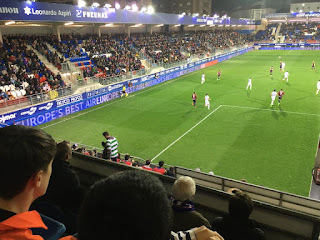 Eibar were promoted to the third tier Tercera División and went up a further step by winning the regional group in 1952-53 to reach the Segunda División, where the club was placed in Group I. 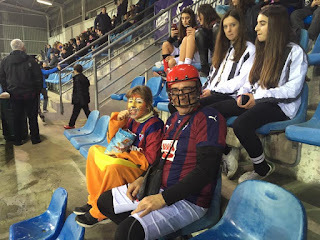 After five seasons Eibar were relegated back to the Tercera División at the end of the 1957-58 campaign. Back in the third level ‘Los Armeros’ (The Gunsmiths) won their group in 1961-62, 1962-63 and 1966-67 without going on to win promotion from the play-off group. The 1975-76 season ended in relegation back to the regional División de Honor de Vizcaya, where they remained until 1978-79 when promotion was achieved as Eibar lifted the league title. The club remained in the Tercera División as the Spanish league system was re-organised so it became the fourth tier. Eibar won their regional group title in 1985-86 to move up to Segunda División B, which was extended to a four group system the following season. Eibar won Group I to the second level Segunda División, where they would remain for many years. Perico Alonso took the team to mid table finishes between 1995 and 1998. José María Amorrortu, José Luis Ribera and José Luis Mendilibar offered more of the same as Estadio Municipal de Ipurua was extended before the club were relegated in 2005-06 back to Segunda División B.
Eibar won the Group II title at the first attempt before going on to win promotion via the promotion play-off final against Rayo Vallecano under manager Manix Mandiola. A poor 2008-09 season with Carlos Pouso and then Josu Uribe saw the team relegated back to the third level. A succession of finishes in the top three, including lifting the Group II title in 2010-11 eventually saw the club regain their Segunda División status via the play-offs after Gaizka Garitano had been employed as manager to replace a returning Mandiola in the 2012-13 campaign. The season also saw a memorable aggregate victory over illustrious neighbours Athletic Club in the Copa Del Rey thanks to a goal from Mikel Arruabarrena. 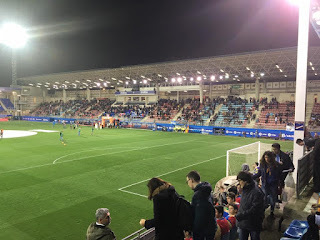 Promotion to La Liga for the first time in the clubs history came in May 2014 following a 1-0 home victory over Deportivo Alavés at Estadio Municipal de Ipurua. Despite the success on the pitch, the clubs top flight status was put in doubt because they didn’t have the required share capital. The clubs S.A.D. society launched a campaign named Defiende al Eibar (Defend Eibar) to reach their goal, which was achieved in July 2014. Eibar should have been relegated after just one season, but were handed a reprieve when thirteenth placed finishers Elche CF were demoted because of financial irregularities. 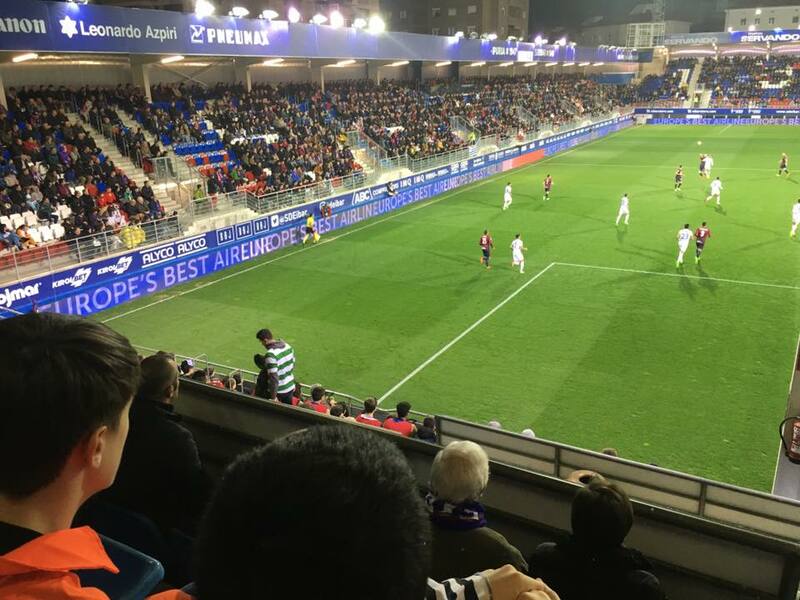 A new North Stand was erected at the stadium as Celtic travelled to the Basque Country to play in Eibar’s seventy fifth anniversary game. José Luis Mendilibar came in as the new team manager as the team finished in mid table thanks in part to the goals of Borja Bastón. The club also formed a partnership with CD Vitoria of the Tercera División to act as a nursery side. In January 2017 the club opened a new East Stand at the stadium which also offered updated facilities. The 2016-17 season ended with a tenth place league finish, as well as a run to the quarter finals of the Copa Del Rey, where they were eventually beaten by Atlético Madrid. SD Eibar will play in La Liga in the 2017-18 season. What a time I was having in the Biscay region. 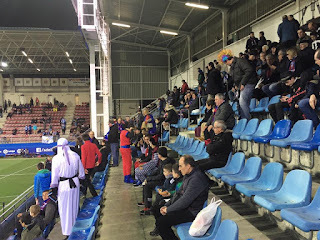 It was the second day of my long weekend in my Bilbao base and I’d already seen the part of two youth games at Danok Bat and then CDF Ibarreko before taking in the local derby between Arenas Club and Sestao River Club. I’d arrived at the bus station near to Athletic’s San Mamés home. Eventually through hand gestures and pointing I was put on the correct bus. I'd written the destination; Gipuzkao Etorbidea on a Word document on my phone to save confusion. The driver nodded and charged me €2.70. The sight of an Eibar fan comforted me. It was time for follow my leader. The bus went through scenic valleys and judging by his driving, I suspect the driver's tea was close to coming out of the oven. After getting out at San Lorenzo another bus took us to the stop by El Corte Inglés, in Ardantza, the town which adjoins Eibar. Finding a cash machine wasn’t an easy task but eventually I replenished my wallet in the pedestrian area in the steep sided valley. It was a bit of a shame it was dark as I could imagine the scenery to be pretty spectacular. Estadio Municipal de Ipurúa was built high in the hills overlooking the valley. The town had open escalators next to the steps so that access was open to all areas for everyone in the town. As I was getting close to the stadium I stopped off for a beer and a sausage pintxo at Ogiberri Muxu. 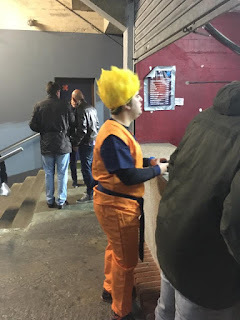 It appeared that people of all ages got behind their local team, which was good to see. I headed up another level to Indalezio Ojangyren kalea, which was the narrow street outside the North Stand. After eventually working out the correct gate I went inside. 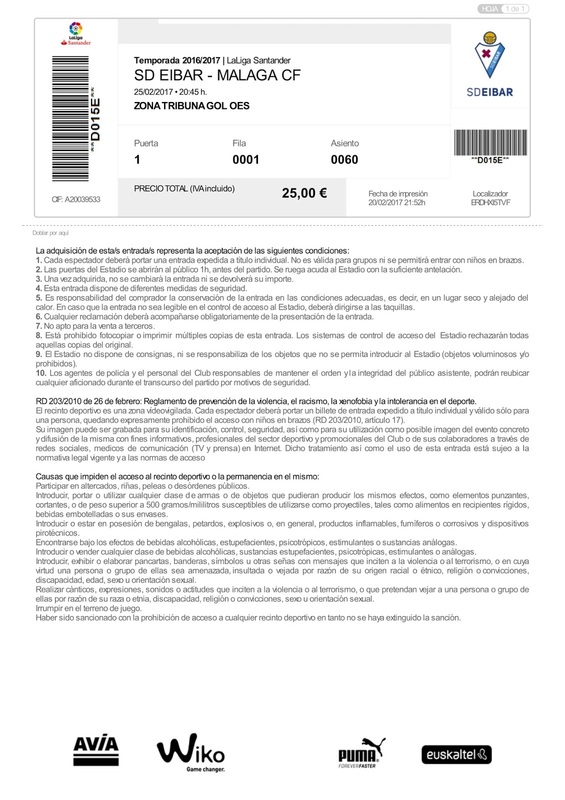 My ticket cost €25. No programmes were issued. I was sat in the oldest stand behind the goal. The stadium held just over 6,000. All the stands were raised and seated. The North Stand touchline was close enough for patrons to ruffle the linesman's hair as he ran past. The home fans were magnificent in their backing. The carnival weekend was also in force in Eibar, with plenty turning out in fancy dress. It was akin to watching on Headingley's Western Terrace. Everyone was having a great time. 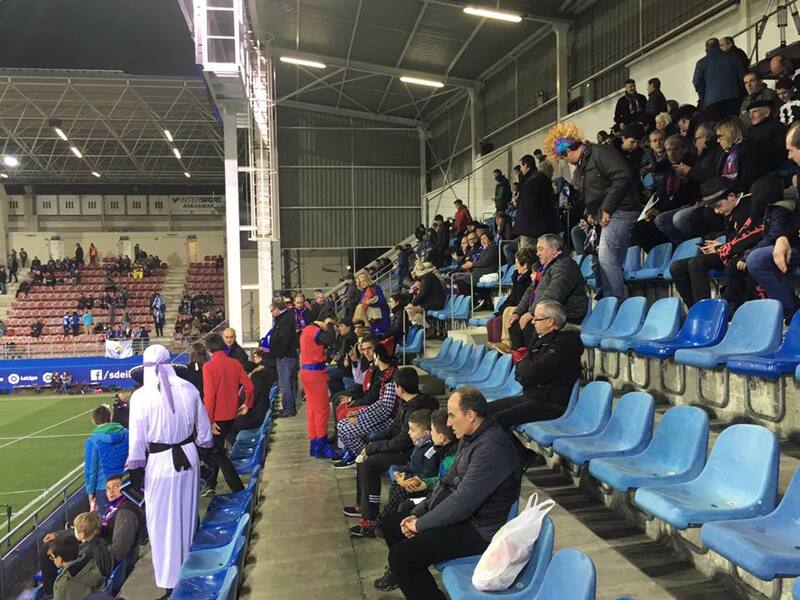 Malaga were the former big spenders of La Liga and had a surprisingly decent amount of support scattered around Estadio Municipal de Ipurua for such a long distance to travel. 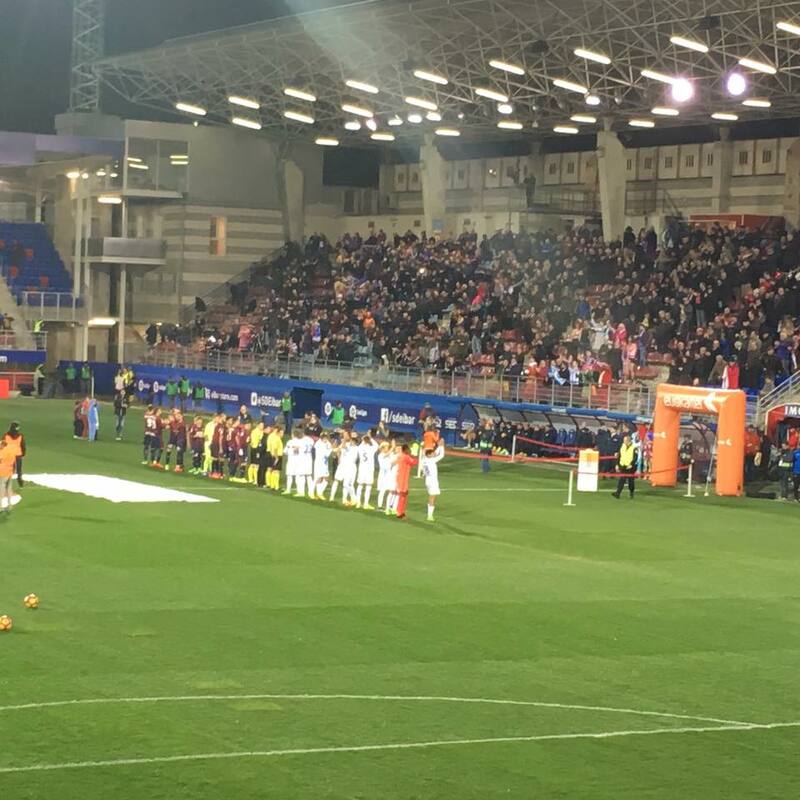 Eibar were on the verge of the Europa League places before kick off. The game was very equal for the first forty minutes as the temperatures began to drop after a very pleasant afternoon. Nothing too much had happened in the first half. Malaga came close five minutes before the break when Michael Santos shot across goal. Three minutes later Adrián González gave Eibar the lead when he fired home after being assisted by Sergi Enrich. During half time I went searching for a programme to no avail, as well as using the basic facilities in the basement of the East Stand, where the old dressing rooms were still in place. I passed on food and drink as the queues were too long. Just five minutes into the second half Eibar made it 2-0. Malaga had every right to be upset as Juankar was adjudged to have fouled Pedro León in the box. It looked a very soft decision to me. Adrian made no mistake from the spot as he beat visiting keeper Carlos Kameni. On fifty two minutes the lead was extended further. Adrian earned a free kick wide, which incensed the Malaga players further. Anaitz Arbilla put the ball into the box and Sergi Enrich shot home from inside the box. The locals were over the moon. The visitors tried to fight back as Charles Dias had a header saved and then Pablo Fornals fired in a long range shot as their frustration grew. Kameni made a fine stop to deny Takashi Inui from making it 4-0. The chances dried up as the game was littered with some poor challenges leading to referee Javier Estrada showing the yellow card on several occasions. 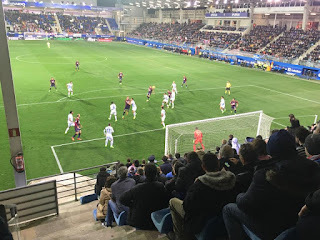 Malaga were reduced to ten men when Roberto Rosales received his marching orders for the second of two bad fouls with twenty minutes remaining. Santos had another effort saved for Malaga in the dying embers but it wasn’t to be his or his side’s evening. Eibar deservedly won. At full time I managed to get into the North Stand to take additional photos before it was time to head down into town via the packed narrow and windy Juan Gisasola Kalea. 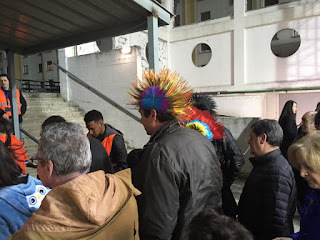 I’d done some pre travel research and it looked like Eibar had quite a few bars. That said, I hadn’t equated for the festival. It was immediately obvious when reaching the main square that quite a few residents had enjoyed a rather fluid day. I was about to join in as my bus didn’t leave until 12.52am and it was just gone 11pm. The main beer bars looked a bit lively so I decided to have a couple to get in the mood at the very pleasant Ongi Etorri Café Bar on Toribio Etxebarria Kalea, a pedestrianised street with several other establishments. Heading back to the area around the Town Hall I popped into Guridi Rugby and then Bar Txoko and O’Jay’s Irish Tavern. All places were showing signs of a long day, both in terms of personnel and ambience. It was a bit like an old Boxing Day back in Scarborough. Something I noted was that among the many fabulous fancy dress efforts, was the popularity of locals ‘blacking up’ to resemble African workers, with many women ‘browning up’ and donning sari’s and jewellery to match. I was thinking just how offended some may have been back in the UK by such mimicry. Standing outside my final bar I noticed a group of younger hipster types who’d been on my flight over from Heathrow the previous day. They were being pestered by the local drunk and beggar. I kept clear before wandering round to Untzaga Plaza where I thought my bus would leave from? All indications were that I was correct and I couldn’t have researched more. Therefore it was a bit concerning when I saw a bus fly up the adjacent San Andres Pasealekua just as the young chaps came along. We got chatting and they turned out to be good lads. Having obviously missed the bus we headed to the Paulaner Bier Haus to work out a plan. There was a 2am train but it would take 3 hours after stopping mid way and requiring a connection. It was decided that two taxis were the order of the day. The two drivers hit the jackpot. €75 each cab for a twenty seven mile ride, but needs must. On the ride back an Asian and black lad in our cab relayed that they had been having a great time but were uncomfortable with the fancy dress It was a difficult one for sure, and one that led to an interesting discussion once I suggested that tolerance on all sides was the order of the day. They may have well just called me Judas after that, particularly the lad in the front who was accusing me of racism. The driver got plenty of entertainment as well as his fare! I wasn’t upset when I got out near Abando station in time to grab a kebab. My first two days had been long, fascinating but ultimately brilliant. I couldn't wait for the next two!